protection can easily communicate with each other and through this process improve radiation protection in many parts of the world. This includes branches of knowledge such as science, medicine, engineering, technology and legislation, to protect mankind and its environment against the hazards caused by ionising radiation, and thereby implicitly facilitating the safe application of medical, scientific, and industrial radiological practices for the benefit of mankind. 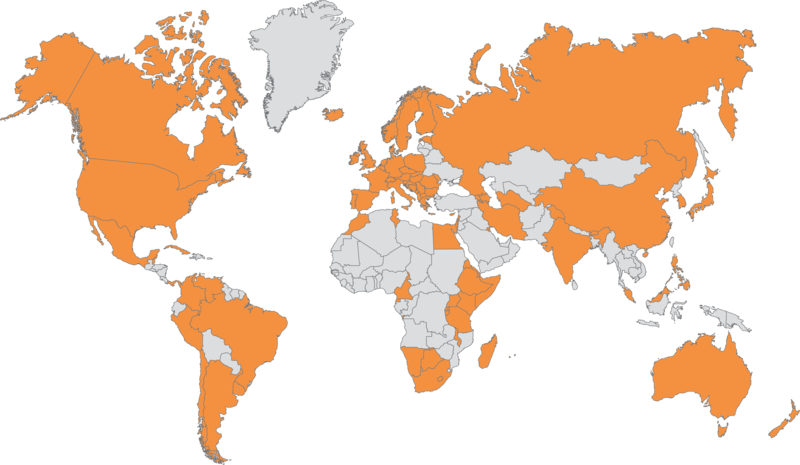 IRPA comprises about 18000 individual members representing 52 national and regional societies in 67 countries. Through these associate societies, benchmarks of good practice are provided and professional competence and networking is enhanced. One of the major tasks for IRPA is to provide and support international (regional) meetings for the discussion of radiation protection. Ever since 1966 international congresses have been organised for radiation protection practitioners to gather and exchange achievements, scientific knowledge and operational experience in radiation protection.